I certainly know the connection a little girl can have with her favorite stuffed animal Scratch that ” BEST FRIEND”. So when she loses or misplaces her friend it’s can be heartbreaking. 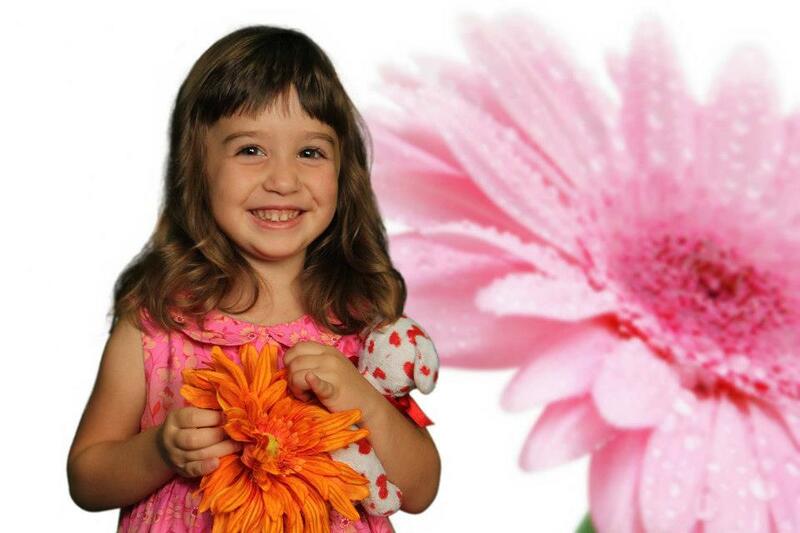 You see when my “Little Darlin'” (That would be my Granddaughter Alyssa) turned three years old Mommy took her to a photographer to get her picture taken.Well Alyssa did not like that one bit.She was scared of the bright lights and not to crazy about the Photographer either.The only way we could get her through her “Photo Shoot” was to let her clutch her “Best Friend” Woo Woo. Woo Woo is a little stuffed doggie (white with red hearts)she got as a valentine from her NaNa when she was only one year old. After that everything seemed to work out fine. Fuzzy is a fluffy blue bunny who belongs to a little girl named Jenna. Jenna along with her two sisters Tara and Kristen and of course Mama and Daddy have all piled onto the family SUV for a trip to the Ocean for a nice little summer vacation. Oh yeah lets not forget Fuzzy where Jenna goes so goes Fuzzy. That’s where we start our story.The thing is nobody really knows how it ends.The author (Cat Michaels) has done something pretty unique here. She left an open ending and a few blank pages at the end of the book . That’s where the You Decide comes in. You decide (your child)what Jenna will decide to do to solve what to her will be heart wrenching decision. Of course this is designed for your child to have a little fun with it. The genius here is that Cat has picked the perfect storyline to make your would be writers put themselves into Jenna’s shoes and truly understand how she feels.It’s the stuffed animal, every child has one and every child is very attached to it. 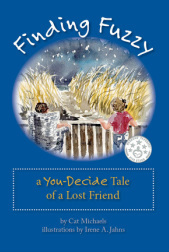 So Obviously by the title of the book you may have figured out that somewhere between playing in the sand and swimming in the ocean and all the fun to be had FUZZY got LOST! But only you and your little prospective writer knows what happens next. This is a truly unique and educational book.Easy to get through with only 44 pages just right for young children.